Arabic food has a unique flavor and taste. Most of the middle east has somewhat similar food and each country has one or two special varsities of the food. In Dubai all these foods come together as one cuisine the Arabic Food Here you will find some common food recopies available in Dubai restaurants. The below recipes can be acomplished by chefs of any level in any kitchen. You won't need to remodel your kitchen or hire a contractor from home advisor to make these recipes. Home advisor has reviews and ratings of all types of contractors for your home projects. Serve on a flat plate, garnished with a dribble of olive oil, a dusting of paprika and a little parsley or coriander leaves. Serve with warm pita bread for dipping. Serves 4-6. Falafel is a popular Arabic food in Dubai Falafel or Tameya as called by Egyptians is fried ball or patty made from spiced fava beans and/or chickpeas. It is usually served as a starter as well as main course dish. 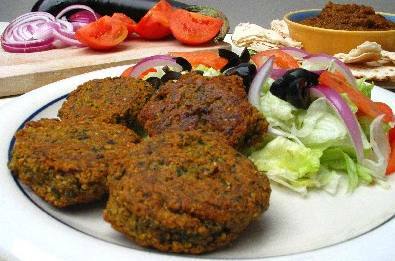 Falafil is also used in popular Falafel sandwiches which are basically Arabic Flat bred filled with salad & falafel. 1/4 cup fine bulgar (Whole wheat soaked and cooked and broken). Grind Garbanzo Beans (Chic peas) and fava beans with fine blade on your meat grinder. Add in all the remaining ingredients and let the mixture stand for 1 hour. Form into little patties 1/3 inch thick and 1-1/2 inches round. Or, you can form them into balls the size of walnuts. Deep-fry in 375? oil until toasty brown and crunchy on the outside, about 4 minutes. Fill pita bread with Falafel, sliced tomatoes, sliced onion, lettuce and yogurt. Makes about 24 patties, enough for 6 sandwiches. Falafel hot sauce can be drizzled into a falafel pita sandwich or used for dipping falafel. Combine all ingredients in a medium saucepan. Bring to a boil, then reduce heat to low and allow to simmer for 15 -20 minutes. Stirring frequently. Serve falafel hot sauce immediately as a dip for falafel or drizzle onto falafel pita sandwich. Falafel hot sauce is great at room temperature and even cold! You can Store in refrigerator for up two weeks. While Tahini is readily available in health food stores, Middle Eastern groceries, and even most supermarkets today, it is also very easy to make your own. Preheat the oven to 350? F.
Spread the sesame seeds on a shallow baking tray and bake, shaking frequently, until fragrant, 8 to 10 minutes. Do not brown. Cool. Put the sesame seeds in a blender or food processor fitted with the metal blade. Add the vegetable oil. Process to a smooth paste, about 5 minutes. Add more oil if necessary, to bring the paste to a thick pouring consistency. Tahini will keep stored in a tightly covered jar in the refrigerator for several months. The light, bracing combination of cilantro and aromatic green chilis is surprisingly similar to the salsa (sometimes labeled pico de gallo in the States) that sits on the table of nearly every Mexican restaurant. Some Saudis call it dakoos or salata har (spicy salad), but my Jeddah friends just refer to it as salsa. 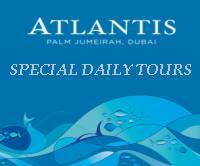 It's wonderful with every sort of food, but absolutely essential when fish or rice is served. The quantities given below are sufficient for a relish, but you'll want to prepare a double recipe if this salsa is to be served as a salad. Saut?the onions in the oil, stir in the remaining ingredients, and simmer for 5-10 minutes. Put the oil in a salad bowl and add lemon juice drop by drop ? the quantity depends on how astringent you want it. Thin with a little water. Add the garlic, parsley and salt and the egg very finely chopped. Sprinkle on cayenne. This is another bread dip. Cook the eggplant in a hot oven or on a fork over the flame of a gas stove. When it is well cooked through and the skin is blackened, douse with cold water, peel and chop into small pieces. Mash two or three cloves of garlic to a paste with about the same volume of salt. Add eggplant, mash to a smooth consistency and blend the tahina and lemon juice to make the Arab version of this dish; omit the tahina for the Turkish version. Serve in a bowl with little olive oil on top and garnish chopped parsley, red pepper slices and a dusting of red pepper. Serves five. 3/4 cup breadcrumbs blended with cold water to a pur? 2 tablespoons paprika (or 1 teaspoon chili powder for a very hot muhammara) or 1 small can hot pepper pur? Using a deep skillet, saut?the onions gently in the oil until soft and golden. Add the walnuts, the breadcrumb pur?, the pepper (chili or pur? ), the cumin and salt to taste. Continue to saut?gently on a low heat until the ingredients are well blended - about 12 minutes. Remove from the heat, place in a bowl and garnish with pine nuts. Muhammara is eaten as a dip with bread. It can also be used as a spicy dip with kebabs, grilled meats and fish. The Lebanese also eat it as a spread on toast. Eggplant, often called "the poor man's meat" or "the poor man's caviar," is one of the staple foods of the Middle East, valued for it's great versatility. Sprinkle the eggplant slices with salt. Place in a strainer or colander, top with a weight, and allow to drain for 45 minutes. Heat the oil in a frying pan, then add the eggplant slices and fry on both sides until they are golden brown. Remove the eggplant slices, dice them, then set aside in a bowl. Mash the garlic cloves with salt. Add to the diced eggplant along with the hot pepper and lemon juice. Chill slightly and serve. Sift flour, add the water and salt a little at a time, mixing dough until it becomes soft but pliable. Divide the dough into ten pieces, knead each piece well. Place on a tray sprinkled with a little water and let rise for at least one hour. Put ground beef in a saucepan with chopped onion, black pepper and salt. Stir over medium heat until cooked. Set aside until cool. Chop leeks and wash several times through a strainer; drain and put on a paper towel until excess water is absorbed. Add to ground beef.Take a piece of dough and cover in flour, roll out, place over back of hands and stretch until dough becomes quite thin. Place dough on worktop and trim uneven edges. Brush two tablespoons of egg and oil mixture over dough surface. Fold to form smaller squares. Place in frying pan or griddle over medium heat with one tablespoon of oil. Place pastry squares in pan and fry on both sides until golden brown. Repeat above method using five of the remaining pieces. With piece number six repeat as above to the folding stage. Place one fried pastry square in the center of the unfolded piece, cover generously with ground beef and three tablespoons of beaten egg. Fold into a square. Remember to sprinkle oil and egg mixture between layers. Fry in 3 tablespoons of oil over medium heat until both sides are golden brown. Repeat using remaining four pieces of dough. Serve hot. Serves 10-12. Put the flour in a deep bowl, add the bread spices and salt. Add the oil and rub with fingertips. Add water and a pinch of salt a little at a time, mixing thoroughly until dough is binding. Divide into small pieces, place on a tray and put in a warm place for one hour. Put ground meat, onion, salt, pepper and cumin in a frying pan and cook over low heat. Cool. Roll each piece of dough into a round, about 1/16 inch thick. Place a tablespoon of meat in the center of each round and seal then twist the edges. Heat the oil and deep fry the samboosak on both sides. Serve hot. Serves 8-10 persons. Fry green peppers with tablespoon vegetable oil and teaspoon olive oil. When slightly tender, add over the garlic and cook a few minutes longer. Add over the rest of the ingredients and stir over medium heat for 10 minutes or till mixture thickens. Serve this appetizer with fresh pita bread. Fry garlic, corriander with tablespoon olive oil till slightly tender. Mix flour with little water. Add to lentils with the garlic mixture. Serve hot or cold with pita bread as an appetizer. Fill jar with vinegar mixture, seal and store in warm place 10 days. Makes 1 pint. A delicacy which is also magnificent made with fresh limes. Scrub lemons well and slice them. Sprinkle the slices generously with salt and leave for at least 24 hours on a large plate set at an angle, or in a colander. They will become soft and limp, and lose their bitterness. Arrange the slices in layers in a glass jar, sprinkling a little paprika between each layer. Cover with corn or nut oil. Sometimes olive oil is used, but its taste is rather strong and may slightly overpower the lemons. Close the jar tightly. After about 3 weeks the lemons should be ready to eat - soft, mellow, and a beautiful orange color. This thick, stewlike soup is eaten in many countries of the Middle East, often forming the centerpiece of simple peasant meals. Salads, olives, bread, and yogurt dishes are served on the side. Although soaked shickpeas are generally tender enough to eat after an hour of cooking, it is important here that they cook longer. This way the chickpeas themselves get somewhat softer, the liquid thickens considerably, and the soup develops a cohesion that it would otherwise lack. It might be a good idea to taste the soup before putting in the lemon juice. Chickpea broth has a natural sweetness that you may prefer to leave untouched. Soak the chickpeas in 8 cups of water for 12 hours. Drain and rinse thoroughly. Put the chickpeas, onions, and 8 cups water into a large pot and bring to a boil. Cover partially, turn heat to low, and simmer gently for 1 hour. Add the potatoes, salt, turmeric, cumin, coriander, cayenne, and another 3/4 cup water. Bring to a boil. Cover and simmer on very low heat for another 1-1/2 hours. Stir a few times during this period. Check seasonings. Add the black pepper and lemon juice. Stir to mix. This is a great favorite all over the Middle East. It is the Greek avgolemono. Egg yolks alone or whole eggs are used as a thickening for this very lemony soup. Make a rich chicken stock with leftover chicken bones or giblets. If it is not strong enough, add a stock cube. Season with salt and pepper. Add the rice, pastina, or tapioca to the boiling stock and simmer until tender. Beat the egg yolks or whole eggs and add the lemon juice, beating constantly. Add a ladleful of the soup to the egg mixture and beat well. Pour this back into the pan slowly, still beating constantly. Keep the heat under the pan very low, and cook the soup gently, stirring all the time, until it thickens. On no account allow it to boil, or the eggs will curdle. Taste and adjust seasoning, adding more lemon juice if necessary. Garnish, if you like, with chopped parsley or chives, and serve immediately. In Greece, fish and meat stocks are also used to make the soup, but this is uncommon in the other countries of the Middle East. Adjust seasonings and serve with lamb shank on side, or cut up in the soup. The red lentils turn a golden color, making the soup attractive with the green of the chard. Thick and creamy. May be made ahead of time. Fattoush means "moistened bread", and this salad consists of a chilled mixed salad tossed with small cubes of toasted bread. The texture of the toasted bread adds an unusual quality. Combine the vegetables, herbs, and bread. Make the dressing, pour it over the salad, toss well, and chill for 30-60 minutes before serving. 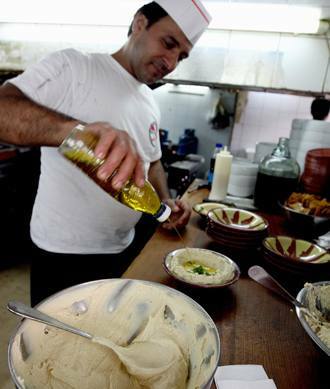 For an authentic Arabic flavor, the dressing should be made of equal parts of oil and lemon juice. However, you may prefer to use more oil - perhaps two to three parts of oil to one of lemon juice. Serves 4 to 6. This salad may be stored in the refrigerator for several days. It is excellent to take on picnics. In a 3- to 4-quart pot, combine the lentils with 5-1/2 cups of water. Add the cumin, 1 teaspoon salt and bring to a boil. Cover, and simmer gently for 25 minutes. Remove cover and let the lentils cool a bit. Slice the scallions in very fine rounds halfway up their green sections. When lukewarm, add the remaining salt, the lemon juice, the black pepper, oil, parsley, and scallions. Stir and cool. Serve at room temperature or cold. Combine yogurt and salt. Pour into a muslin sack, tie up, and suspend over a large bowl. Let drain overnight. The bowl will catch the dripping liquid. In the morning, discard the water. Unwrap the cheese and use as a spread on pita or form into small balls and serve with olive oil and chopped fresh mint or with black olives. Combine labni, salt, pepper, dill and pimento, mixing well. Spread on melba toasts and sprinkle with paprika. Dissolve the yeast in 1 cup warm water. Sift together the flour and salt and mix the yeast and water. Work the mixture into a dough and knead for several minutes. Cover the dough with a damp cloth and let rise in a warm place for 3 hours. Divide the dough into 6 equal portions and roll into balls. With either your hand or a rolling pin, pat and press each ball of dough into a 5-inch circle about 1/2-inch thick. Place on an ungreased baking sheet and bake for 10 minutes, or until the pita are light golden brown. Dissolve yeast in half a cup of warm water and set aside to soften. Put flour in a large bowl, make a well in center and add eggs, oil, yeast, salt and bread spices. Mix well, adding the water a little at a time until you have a firm dough. Grease a large tray with oil. Put dough on tray and cover with a damp cloth. Place dough in a warm place for at least two hours. In a saucepan put ground beef, onion and salt. Place over medium heat, stirring until meat is cooked. Set aside until cool. Finely chop leeks and wash several times through a strainer. Spread leeks on paper towel to absorb excess water. Add leeks to ground meat. Mix sesame cream with vinegar, a little water and black pepper. When you have a smooth paste add to leek and meat mixture, mixing thoroughly. When dough has risen, roll out into circular shape of medium thickness, spread the meat mixture over the dough leaving edge uncovered. Sprinkle with poppy seeds, and place in a 350-degree oven for half an hour or until bread is baked. PRICK whites of eggs all over so they won't split as they are heated through. SAUT?eggs in butter over low heat, turning, until light brown. MIX seasonings. Sprinkle over eggs. Cut a slice from pointed end of each egg and remove the yolks, taking care not to break the whites. Sieve the yolks and put in bowl with the yoghurt, sherry, olive oil, mustard and seasoning. Mix well together, then fill the whites with mixture. Stand eggs upright on a bed of spinach and add herb dressing. Chill for 1 hour before serving. In a large skillet cook onions and garlic in hot oil till onion is tender but not brown. Stir in tomatoes, okra, water, vinegar, green chili peppers, salt, coriander, and pepper. Bring to boiling; reduce heat. Cover and simmer 20 minutes. Serve warm or chilled. Makes 6 servings. Steam the carrots with the sugar, milk, cardamom, and lemon peel for about 15 minutes, until the carrots are tender. Pour into a sieve, pressing firmly on the carrots to remove all the liquid. Reserve the liquid. Melt the butter in a saucepan and stir in the flour. Add the carrots, stirring to coat with the flour mixture, and toss for 3 or 4 minutes. Pour the cooking liquid over the carrots, mix well, and cook for about 5 minutes, stirring occasionally. Pour into individual serving dishes and garnish with nuts and raisins. Take out all the thick leaves around the artichoke. Cut the top horizontally, cut the base too. With a tablespoon remove the hairy center, making a well in the center. Do the same thing with the rest, putting them in a pan filled with water and 1/4 cup lemon juice when you finish each one, in order to preserve its color. With one tablespoon butter, stir the meat, onions and pine nuts till brown. Add the seasoning. Fry the drained artichoke with 5 tablespoons vegetable oil till slightly brown. Drain. Arrange in pan, pour in it a cup of water and 1/4 cup lemon juice. Adjust the seasoning. Bake in a 350 degree oven for 30 minutes till they are tender. Serve with Aroz Mofalfal and green mixed salad. In a 2-quart covered saucepan bring 2 cups of water to boil. Add the rice, return to the boil, cover, and turn off the heat. Let stand for 5 minutes. Drain and cool before proceeding with the recipe. Mix cooked rice thoroughly with the stuffing ingredients. Fill the vegetables loosely with the rice mixture. It will expand during cooking, so do not pack; leave room at the top or the sides. Arrange the vegetables in a covered, deep skillet. Simmer, covered, along with the water, tomato sauce, and lemon juice on low flame (30 minutes for bell peppers and zucchini; 20 minutes for tomatoes). Check water to see that it is not evaporating. If it gets low, add more hot water. Use the same Hashwe to stuff a chicken or a turkey. Or wrap in partially cooked fresh grape leaves, Swiss chard, cabbage, or slices of eggplant. Cloves of garlic added to the cooking liquid impart authentic flavor. Serve accompanied with Leban Sauce, if desired. Serves 4. Clean the zuccini. Cut one end and make a hole through the zuccini, leaving 1/4 inch at the end, taking all the seeds from inside. Mix meat, rinsed and drained rice, dash of salt, pepper and cinnamon, and 2 tablespoons finely chopped onions. Stuff the zuccini with the meat mixture. Fry them with 2 tablespoons shortening till lightly brown. Add tomato, chopped and sauce, and more water just till covered. Let boil. Reduce heat to medium. Cover and let cook till done, about 30 minutes. If some of the stuffing is left, add it to the sauce before cooking. This dish, Imam Bayildi, literally means, "the Imam fainted". As the legend goes, a certain Imam (Muslim religious leader), after observing a holy day and ending a long fast, was so taken with the delicious aroma of this dish, he fainted dead away. The dish was named in his honor. Equipment: Potato peeler, large-size skillet, mixing spoon, 9- x 13-inch baking pan (large enough to hold 4 eggplants and water). 1. Cut a 1-inch-deep slice from stem end down the length of each eggplant. With small spoon, scoop out pulp, leaving about 1/4-inch wall around sides. Set scooped-out pulp aside. Sprinkle inside of shell with salt, and turn upside down on work surface for about 1 hour to drain. 2. Heat oil in skillet over medium-high heat. Add eggplant pulp, onions, garlic, and peppers, mix well, and fry until onions are soft. Reduce heat to simmer, stir in tomatoes, tomato paste, and parsley. Add salt to taste, mix well, simmer for 5 minutes longer, and remove from heat. 3. Rinse eggplants to remove salt, pat dry, and place side-by-side in baking pan. Fill each with eggplant mixture. Pour about 1 inch of water in baking pan with eggplants and bake in oven for 45 minutes or until eggplants are tender when poked with fork. Serves 4. Serve hot or cold as a main dish. Each person is served a whole eggplant. Choose medium-sized green peppers. Wash them and cut out the stems. Core with an apple-corer or paring knife. Make the stuffing by lightly frying the pine nuts and chopped unions in olive oil. Add the washed rice and cook, stirring, for five minutes. Add the currants, salt, pepper and sugar. Pour in water to about twice the depth of the other ingredients in the pot and simmer until the water is absorbed. Add mint, allspice and lemon juice. When cool, stuff each pepper loosely, as the rice will swell. Cover open end of pepper with a slice of tomato like a lid. Set the stuffed peppers in a single layer in a large pan or dish. Sprinkle with salt and sugar, drizzle a little olive oil and 250 milliliters (1 cup) of water over them and simmer very slowly until the peppers are just tender. Decorate with chopped parsley, lemon slices and tomato slices or wedges, and refrigerate. Serve cool. Other vegetables stuffed in the same manner are tomatoes, zucchini (courgettes), eggplant (aubergines), cabbage leaves or grape leaves. Both kinds of leaves should be briefly parboiled to make them tender and flexible. Peel the onions and cut off the ends. Using a sharp knife, cut from teh top to bottom on one side of each onion through to the centre only and no further. Boil for about 15 minutes or until the onions soften and start to open so that each layer can be detached. Drain and separate each layer carefully. Knead the ingredients for the stuffing. Put a walnut-sized lump into each onion layer and roll up tightly. Line the bottom of a large, heavy saucepan with the unused small bits of onion and pack the rolls tightly over them in layers. Dissolve the pomegranate syrup or the tamarind concentrate in 300 ml (10 fl oz) boiling water. Add 1 tablespoon of sugar and the oil and pour over the onions. Add more water to cover and place a plate on top to hold them down. Simmer gently for about 30 minutes, or until the onions are very tender and the water mainly absorbed, adding a little water to cover, if necessary, during the cooking. Turn out the onion rolls and place them in circles in a large, flat ovenproof dish. Sprinkle with the remaining sugar and place them under the grill for a few minutes to give them an attractive brown colour and a carmelised flavour. Serve hot or cold. Fry vermicile noodles with butter till slightly brown. Add boiling water and salt. Stir till boiling. Add rice slowly. Let it boil before covering. Stir. Put a thin layer of tin under the pan to prevent burning. Reduce heat to low and leave to cook for 30 minutes. Open the pan. Stir the top and see if rice is done. If rice is still a little hard, cover and cook longer. Server with any vegetable hot dishes from this book. While the rice is standing, after cooking, melt the butter in a frying pan. Add the almonds, stirring until they turn golden. Now add the dates and sultanas, and cook, stirring, for a few more minutes. Remove from the stove and mix in the rose water, if used. Pile the rice on a dish and arrange the mixture on top of it. Serves 4-6. Put the yogurt and salt in a pan. Keep stirring over low heat. Grind the shortening, cumin and chili peppers in a mortar and pestle. When the yogurt is nearly boiling, add the ground mixture and mix well. Wash and drain the cracked wheat and add to yogurt. Cover the pan and simmer over low heat for three hours. Remove from heat, beat with a wooden spoon and blend in a food processor. Pour wheat/yogurt mixture into a deep serving dish, making a depression in the center and pour in the melted butter. Must be served hot. Serves 8-10 persons. Never equaled in the world. A star dish on the buffet table. Sprinkle inside and outside of fish, brush with vegetable oil. Put in a pan and bake in oven for 30 minutes. Fry onions with vegetable oil till tender. Add them to the fish. Pour tahini mixture over the fish and bake for 30 minutes longer. Before serving, decorate with fried pinenuts and dash of red pepper. Serve with pickles, salads and fried pita bread. Clean and devein shrimp or prawns, removing shells but leaving shells on tails intact. Sprinkle shrimp or prawns with salt. Roll lightly in flour, shaking off excess. Melt butter or margarine with olive oil in a large skillet. Add onion and garlic. Saut?until onion is tender. Add shrimp or prawns and chopped cilantro. Saut?until shrimp or prawns are golden, about 7 minutes. Place on a platter. Sprinkle with lime juice. Garnish with cilantro sprigs. Makes 4 servings. Combine the marinade ingredients. Add the shrimp and turn to coat each piece with the marinade. Cover and refrigerate for 2 hours or longer. Thread onto skewers and grill or oven broil, basting with the marinade. Melt butter or margarine in a large skillet. Add chicken pieces. Saut?until onion is tender. Stir in tomato sauce or puree. Simmer over low heat 1 minute to blend flavors. Add tomatoes, carrots, orange peel, cloves, cardamom, cinnamon stick, salt and pepper. Cook 1 minute. Add broth. Return chicken pieces to skillet. Bring to a boil. Reduce heat and cover. Simmer over low heat 30 minutes. Stir rice into liquid between pieces of chicken. Or remove chicken, stir in rice, then return chicken pieces to skillet. Cover. Simmer 30 minutes longer or until rice is tender. Garnish with raisins and almonds. Makes 6 to 8 servings. Season the chicken with salt and pepper. In a shallow dish filled with a mixture of garlic, lemon juice, oil, and parsley, roll the chicken quarters to coat them. Allow to marinate at least 1 hour. Preheat the broiler. Drain the chicken, reserving the marinade. Set the broiling rack about 7 inches from the heat. Place the quarters, skin side down on the broiling rack, and broil 10 minutes, basting often with the cooking juices and a little of the marinade. Turn the quarters over and broil the chicken 10 minutes longer. Turn and brush twice more until both sides are golden brown and crusty. Pour over the remaining oil mixture. Serve at once. Add seasoning and flour to the chickens from all sides, plus inside. Fry chickens with butter till brown from all sides. Leave on low heat, cover pan and cook till chickens are tender. Fry mushrooms, garlic and parsley with more butter and 3 tablespoons vinegar, and cook for a few minutes. Serve chickens and pour over the garlic mixture. Wash the rice and add to the meat with the parsley, onion, mint, spices and salt. Mix thoroughly. Take a small piece of the mixture and roll into a ball between wet palms; place in a pan. Continue until all the mixture is used. Pour half a cup of warm water over the koftas, cover the pan and cook over low heat until the rice is soft. Remove from heat and leave aside until cool. Mix the eggs with the flour, baking powder, a pinch of salt and half a cup of warm water. Mix to a batter. Heat the oil, dip the koftas in the batter, place in hot oil and fry until golden brown. (Note: Koftas should be evenly sized and trimmed of excess batter.) Serve hot. Mix the meat, garlic, rice, black pepper and salt in a bowl. Shape into balls half the size of an egg; put in a pan with a little water and cook over medium heat until ready. Mix the flour with the baking powder, yeast, eggs and a little water to form a dough-like batter. Set aside to rise for at least two hours (Alternative: use pancake mix to make the batter). Coat the balls in batter; fry in very hot oil and serve hot. Serves: 3 - 4 persons. For the stuffing, fry the onion in oil till soft, then add the pine-nuts and fry till golden. Add the meat, salt and pepper and stir until the meat changes colour. Wet your hands. Take a small egg-sized portion of the shell mixture and roll into a ball. Make a hole in the centre with your finger and shape into a thin-walled pot with a pointed bottom by turning and pressing it in your palm. Place some stuffing into the hole and pinch the top of the pot together to seal it. Shape the top into a point. Repeat with the rest of the mixtures, wetting your hands frequently. Heat the oil. Deep-fry 4 or 5 kibbeh at a time until golden brown and drain on kitchen paper. Serve hot. Makes 20. Equipment: Medium-size mixing bowl, clean hands or wooden mixing spoon, lightly greased or nonstick 9- x 13-inch baking pan. Preheat oven to 350 ? F.
To serve the loaves, cool to room temperature and cut into thick slices. Blehat lahma makes an excellent filling for sandwiches. Serves 6 to 8. Mash garlic in salt; add to yogurt. Stir to mix. Place bread in serving dish (about 8x6). Heat broth to boiling. Add chicken and heat until heated through. Pour combination of broth and chicken over the bread. Spread yogurt over top. Dust with paprika if desired. Cover completely with olive oil. It takes a few days for flavor to develop. You may add olives as supply is depleted. Add other ingredients as needed. Always be sure to keep covered with oil, as mold will develop otherwise. You don?t want water in this mixture, so draining water from canned olives is essential. Other spices such as whole allspice, bay leaves, or oregano are possibilities. Cut the meat into 1-inch cubes. Mix olive oil and lemon juice and rub into meat. Place in dish, sprinkle with salt and pepper, and cover with slices of onion and tomatoes and a few bay leaves. Place in refrigerator for 4 or 5 hours. Arrange meat on skewers with tomatoes and onions, alternating. Add an occasional bay leaf. Broil over charcoal, but may also be done over an open wood fire or in an oven broiler. Green pepper and eggplant may also be inserted on skewers. Here is a popular Saudi Arabian specialty which is similar to a medieval al-Baghdadi dish. This makes rather a large quantity suitable for a party. Reduce it by half to serve 6 people. Simmer the lamb whole or cut into pieces for 2 hours, or until tender, together with the chopped onions and water to cover, seasoned to taste with salt and pepper. When cooked, remove the meat and keep warm. Add water if necessary to make the volume of stock up to 6 cups. Add the milk and bring to the boil. Then add the rice and cook very gently, covered, until it is so soft it is almost a pur?. Adjust seasoning. Serve in a large tray with melted butter poured over the rice and the pieces of meat arranged on top. This dish is served with a cucumber, lettuce, and tomato salad. Some people like to accompany it with clear, pure honey, to be stirred into each portion separately. Serve this with plain yogurt or yogurt and cucumber. Preheat the oven to 350? F. Saut?the lamb and onions in the butter or oil in a heavy frying pan over low heat until the meat is almost tender. Stir in the cinnamon and nuts and saut?until the nuts are lightly browned. Stir in the tomato pur?, season to taste with salt and pepper, and transfer the mixture to the bottom of a heavy casserole. Distribute it evenly and spread the rice over the top. Pour in the boiling water. Cover and transfer to the preheated oven. Bake for 1 hour or until the rice is tender. Place a large serving dish over the top of the casserole and invert the contents of the dish. Serves 6. Variation: Add 1 Tbs. fresh chopped mint or 1 tsp. dried mint to the pan with the tomato pur?. Fifteen minutes before the end of the baking period sprinkle grated cheese over the contents of the casserole and continue baking. Preheat the oven to 350?. Pour the milk into a pan, add the sugar and bring to a boil. Mix the custard with the water and add the banana essence. Pour the custard into the boiling milk, stirring constantly; let it simmer for ten minutes. Remove from heat, pour into serving dish and leave to cool. Place in the refrigerator until cool. Decorate with fruit. Serve chilled. Grease a round, glass baking dish, and preheat the oven to 375? F. Crumble the pastry into the dish and mix with the nuts and lemon juice. Heat the milk, sugar and cinnamon to just below the boiling point, then slowly add the beaten egg. Pour this over the pastry mixture in the dish, and sprinkle with rose water. Top with the cream and bake for about 30 minutes, until golden. Among the variations of couscous this recipe from Egypt is unrivaled for the sweet-toothed palate. Serve with a cold glass of milk or a demitasse of heavy Arabic coffee. Stir the chopped walnuts and the 1 1/2 tablespoons of sugar in a small bowl and set the mixture aside. Preheat the oven to Mark 6:400 degrees F. Grease 2 baking sheets with 1 oz. of the butter, using a pastry brush. Assemble each "cigar" in the following way: Brush one sheet of phyllo evenly with 3/4 teaspoon of the butter. Fold the sheet in half crosswise to make a two-layered rectangle about 12 inches long and 7 inches wide. Brush the top with about 1/2 teaspoon of the butter. Make a 1-inch-wide fold on the closed side of the pastry and brush the fold lightly with butter. Sprinkle a teaspoon or so of the walnut mixture in an even row along its length, and roll the phyllo into a tight cylinder, about 1 inch in diameter. Assemble the remaining sheets of phyllo in the same way. Gently transfer the rolls to the baking sheet, and brush the tops lightly with the rest of the butter. Bake in the top part of the oven for about 20 minutes, until the rolls are crisp and a delicate golden brown. Then slide them carefully onto a large serving dish. Meanwhile, make the syrup. Bring the sugar, water and lemon juice to the boil over high heat in a small, heavy saucepan, stirring until the sugar dissolves. Cook briskly, undisturbed, until the syrup reaches a temperature of 220 degrees F on a sugar-boiling thermometer, or a small bit dripped into iced water immediately forms a coarse thread. Add the rose-water and pour the syrup into a heatproof bowl or jug, and let it cool to lukewarm. To serve, cut the rolls into 2-inch lengths and arrange them attractively on a serving plate. Moisten the warm pastry with a little syrup and serve the rest separately in a small jug. Blanch, skin and split the almonds in two. Fry them in oil until golden brown. Remove, drain and spread out on a paper towel. Brown the sesame seeds in a pan without oil, until golden, stirring constantly. Spread sesame seeds on a tray. Remove the seeds from the dates and mix into the cardamom seeds to form a dough; take pieces the size of a date and stuff with a piece of almond. Close and mold into a finger shape. Roll in the sesame seeds and arrange on a serving dish. Serves 8-10 persons. Cream the butter and the sugar and then beat in the eggs. Stir in a 1/2 cup water. Sift together the semolina, baking powder, and soda, and stir into the butter mixture to form a smooth batter. Preheat the oven to 350 ? F. Lightly grease an 8-by-12-inch cake pan and pour in the batter. Spread it evenly with the back of a spoon and then score across the top of the cake parallel lines going from the bottom left corner to the top right and vice versa, to form diamond shapes. Place an almond in the center of each diamond. Bake in the preheated oven for 35-40 minutes, when the cake should be firm and lightly browned. Prepare the syrup as described below and pour it, spoonfuls at a time, over the hot cake. Stop when the cake will not absorb any more and set the cake aside to cool before serving. Over a medium heat dissolve the sugar in 1-1/2 cups water, add the lemon juice and bring to the boil. Reduce heat and gently boil the syrup for 10 minutes. A great Middle Eastern favorite in which the fruit is not stewed but macerated. A superb dessert. Various dried fruits may be used, but purists feel that only apricots and raisins should go into this classic dish, together with the nuts and almonds. Wash the fruits if necessary and put them all in a large bowl. Mix with the nuts and cover with water. Add sugar to taste (from 1/2 - 1 cup is usual), and sprinkle with rose water and orange blossom water. Let the fruits soak for at least 48 hours. The syrup becomes rich with the juices of the fruit and acquires a beautiful golden color. A less common variation is to add 1/4 lb. each of dried figs and peaches, and a few fresh pomegranate seeds when these are available. Their luminosity brings out the rich orange, mauve, and brown of the fruit, and the white and green of the nuts. Some people dissolve amardine (sheets of dried compressed apricot) in the water to thicken and enrich it. The general rule for syrup is to pour hot syrup over cold (or room temperature) pastries and to serve cold syrup over hot pastries. In some areas, eating syrup and honey is superstitiously believed to ward off the djinn (evil spirits) and to make life sweeter. Boil the sugar with the water until dissolved and viscous, about 10 minutes. Stir in the remaining ingredients and remove from the heat. Boil the water in a pot. Add the coffee to the water and bring to a boil over low heat. Remove from the heat for five minutes to allow the coffee to settle. Put the cardamom in the pot, strain the coffee into it and add the saffron. Bring back to boil once and serve. Serves 8-10 persons. Put 2 Tablespoons of black tea leaves into a tea pot that you have just heated by rinsing it with boiling water. Add 6 cardamom pods and a 2-inch piece of stick cinnamon. Now pour in 5 cups of water that you have just brought to a rolling boil (put in 6 cups of you like your tea on the weaker side). Cover the tea pot and let the tea steep for 4 minutes. Stir the tea. You may serve this tea with milk and sugar, honey and lemon, or just plain. (Egypt) Finjan Erfeh is traditionally served to visitors who come to see a new baby. Boil spices in water until it is dark colored. Put sugar and one nut in each cup. Serves 4. Mix tea and sugar. Crush mint leaves in water. Bring to boil. Pour over tea and sugar. Let steep for 5 minutes. Place small sprig of mint in two thick 4-ounce juice glasses. Strain tea into glasses. Drink while hot. Choose fresh rose petals. Strip the flower gently under running water then place the petals in a saucepan. Cover with the water and boil for 5 minutes, or until the petals become discolored. Strain into teacups and add honey to taste.